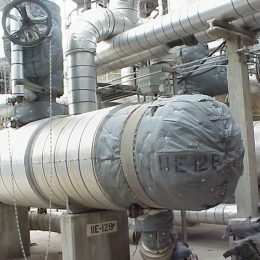 Advance Thermal Corp. provides a complete line of custom designed and manufactured removable/reusable flexible insulation systems along with quality installation or supervision of our products. 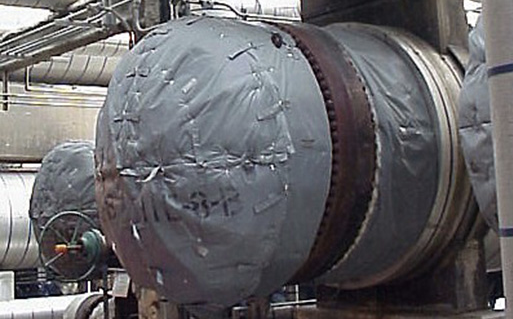 Our projects include single covers for a local boiler room to a complete outage project for a major utility or refinery. 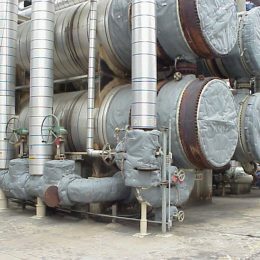 Many years of experience, well-trained personnel on all stages of design and manufacturing, results-oriented field engineers with hands-on experience in hundreds of projects, high quality, state-of-the-art products, quick deliveries, most competitive prices, friendly, knowledgeable office staff—this is what you get by working with Advance Thermal Corp.
We will help you write specifications for any insulation requirement in your plant or facility. We will advise you on the most economical and yet the best suitable way to solve any of your insulation problems. 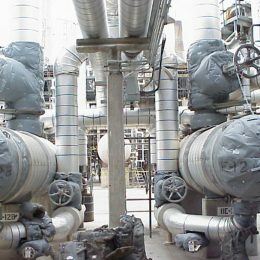 Our experienced application/sales engineers will perform a complete energy survey of your facility, and provide a complete survey analysis along with expected savings and payback on your investment—all at no cost to you!